Keith rests in the morning trying to recover from his severe head cold. 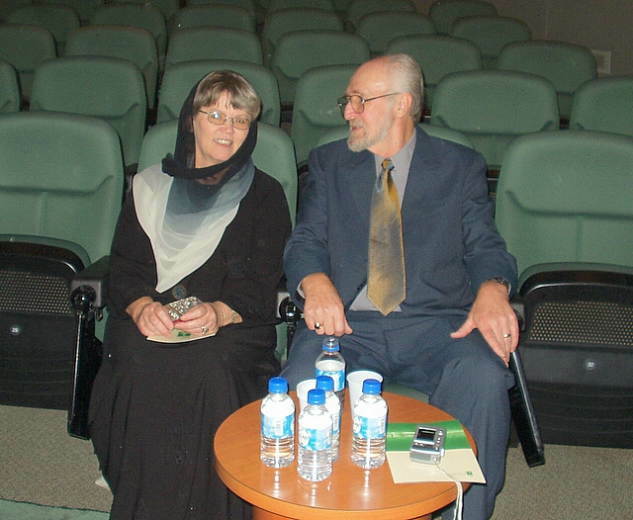 By late morning he is feeling much better and able to meet a journalist, then accompany his wife Peg for a very special visit to the Al-Nahda Heritage Center sponsored by the Al-Nahda Philanthropic Society. 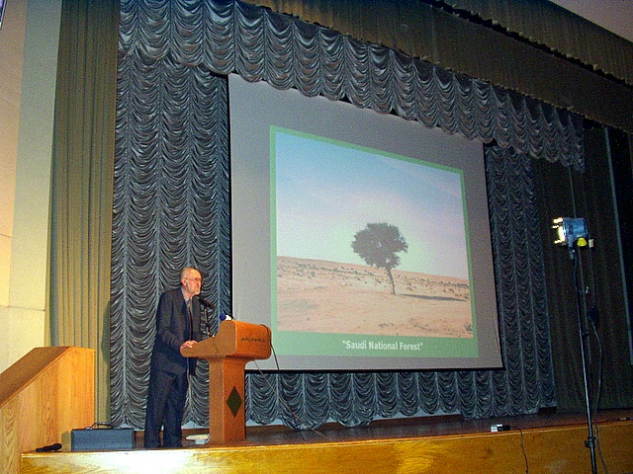 Then it was back to the hotel to rest up for the his evening presentation at the King Abdulaziz Historical Center. 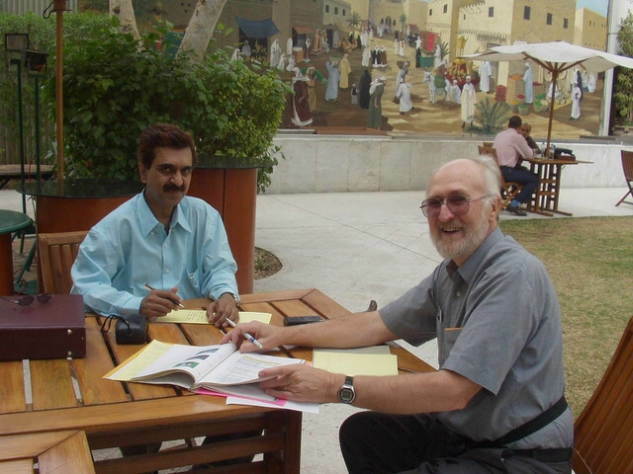 Keith experiences an enjoyable & lively interview in the Hotel garden conducted by "The Saudi Gazette" reporter Shahid Ali Khan. A nice article in this English language newspaper appeared the next day. 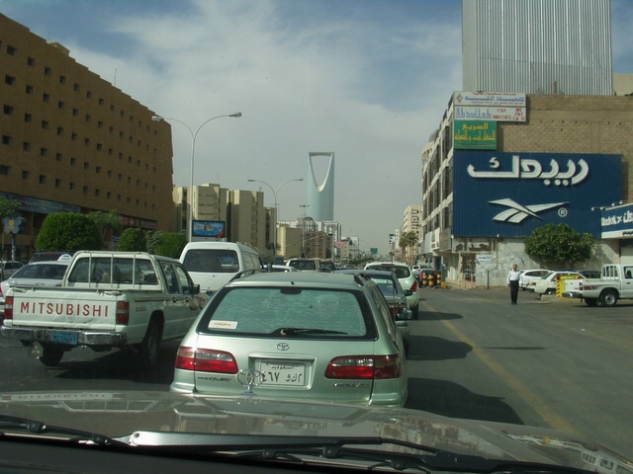 Soon it was time to drive north from the hotel (here with Kingdom Tower in prominent view) & then turning east a bit to visit the women's workshop. 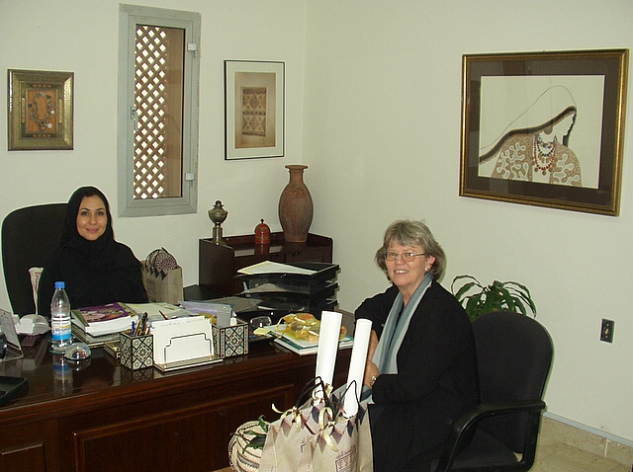 We meet in the office of Al-Nahda Heritage Center Director, Somaya Badr Mohammed for an overview of the program. 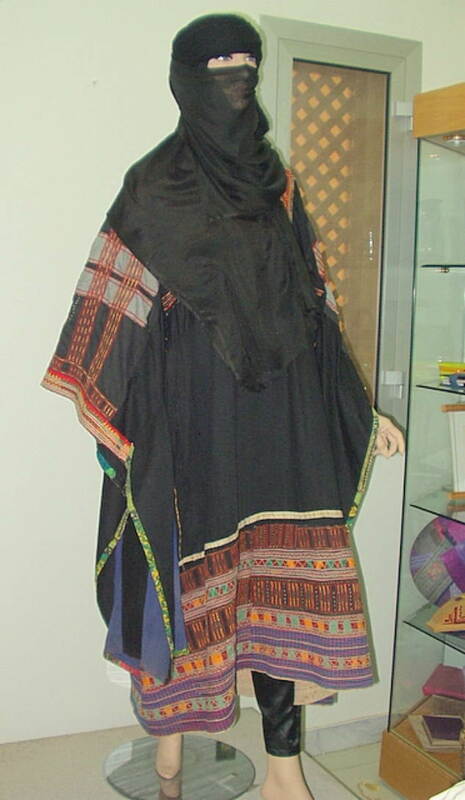 This Philanthropic Society for Women was established in 1962 by Princess Sarah, daughter of King Faisal. 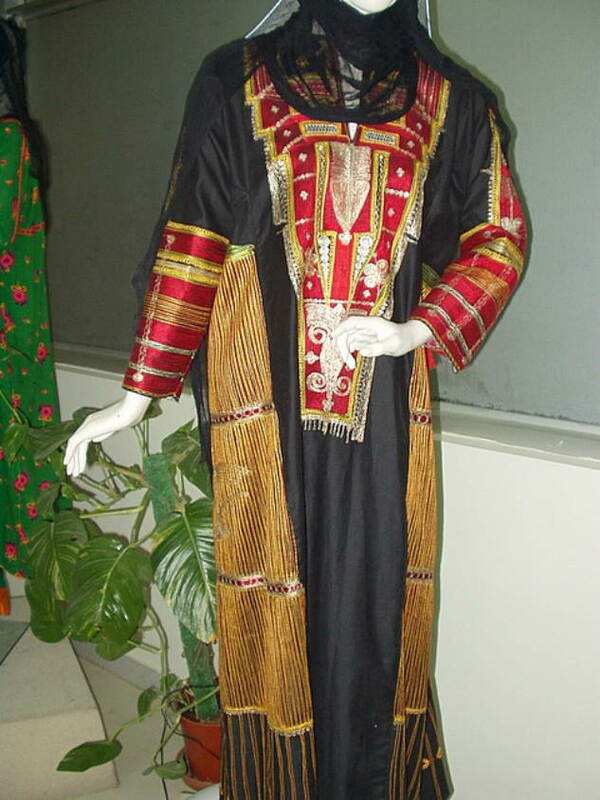 Important among the many good works done by the several committees of Al-Nahda, is the preservation of the rich Saudi culture found in regional costumes. Al-Nahda strives to maintain original design motifs while translating them into modern objects and useful articles for today's world. 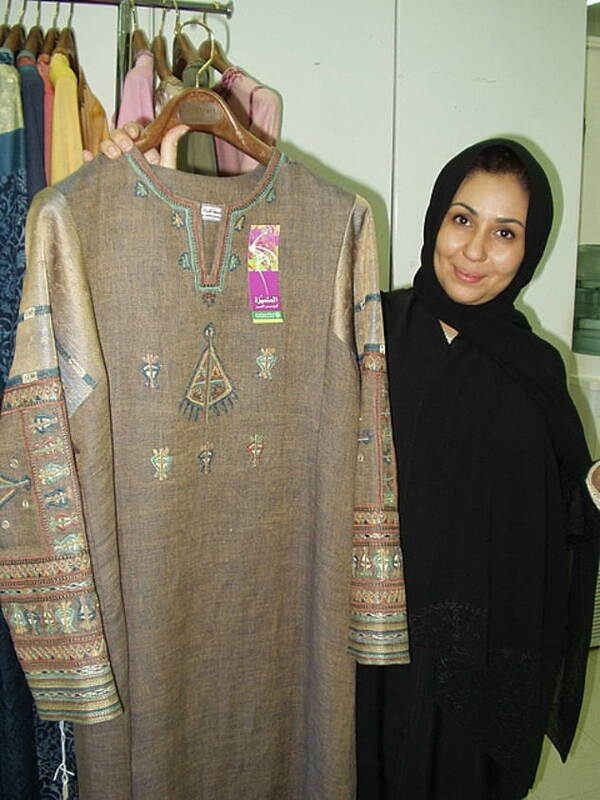 The society recruits Saudi women to learn traditional embroidery stitches which are applied to such things as cushions, thobes and abayas. Some women then work at home or at the workshop. 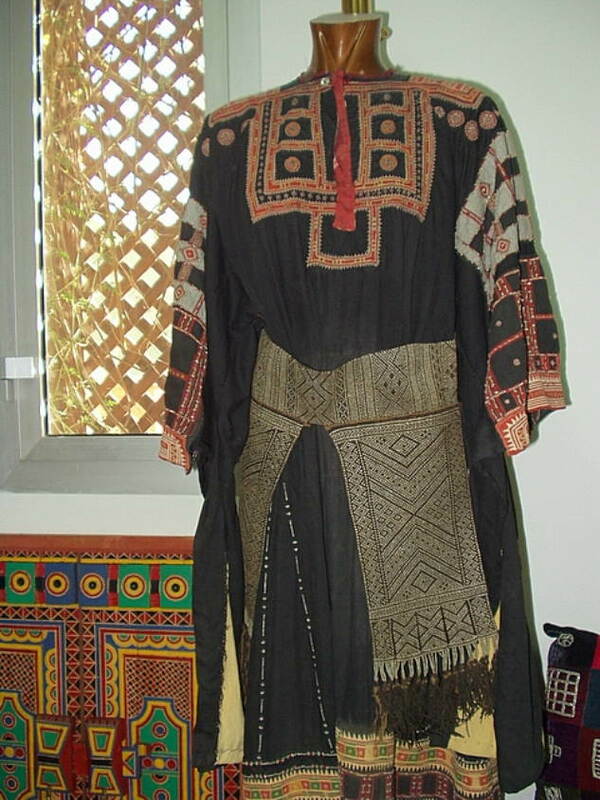 Detailed here is an example of original stitching which is modified with contemporary colors and fabrics and then applied to traditionally styled articles for market. 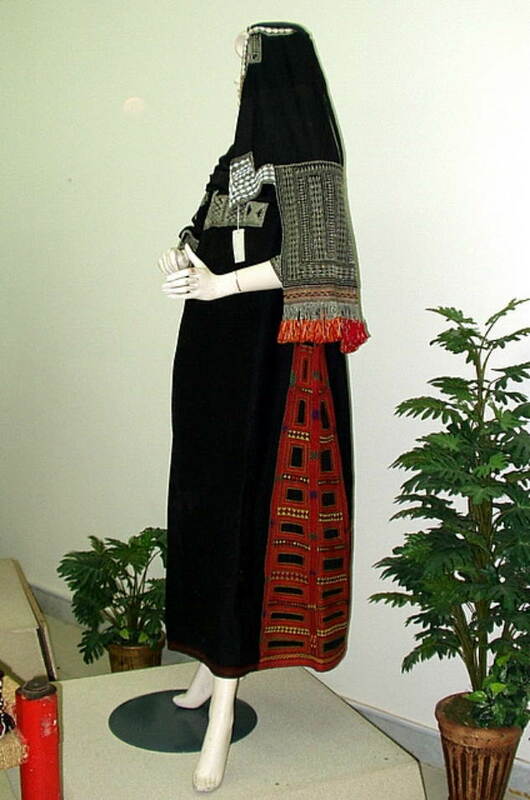 Each region of the kingdom had its own design style, and this society strives to preserve the richness of such folklore and crafts. 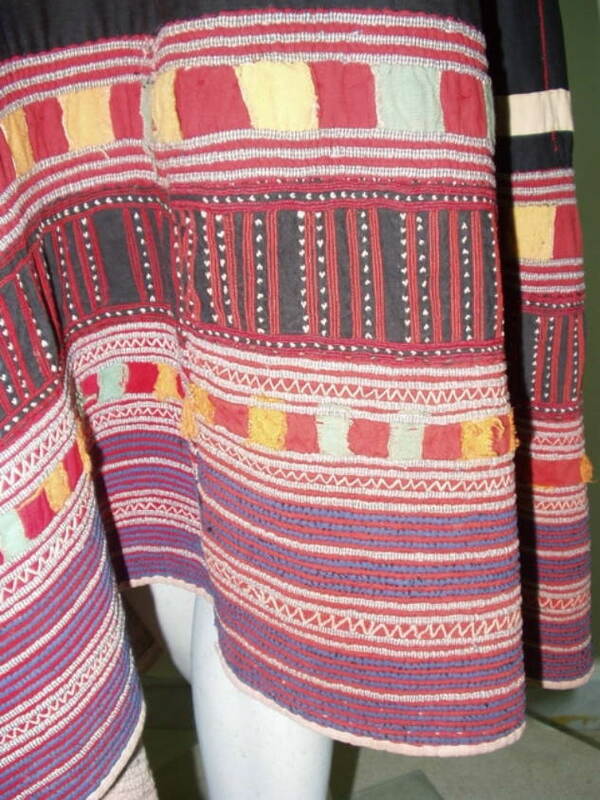 Here is a small example of the broad variety of their collection. 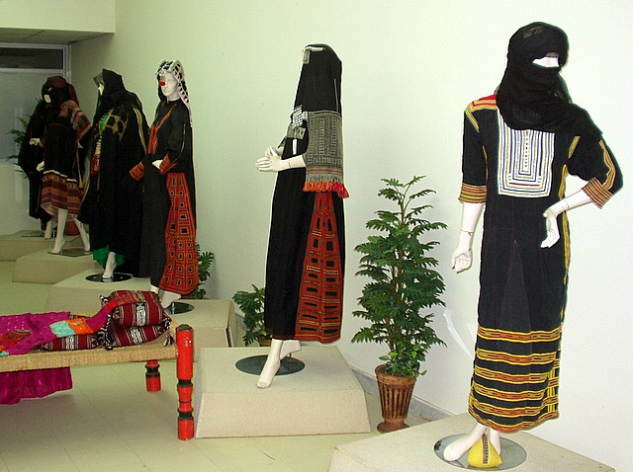 A goal to have these seen by more people concerned about Saudi heritage preservation. 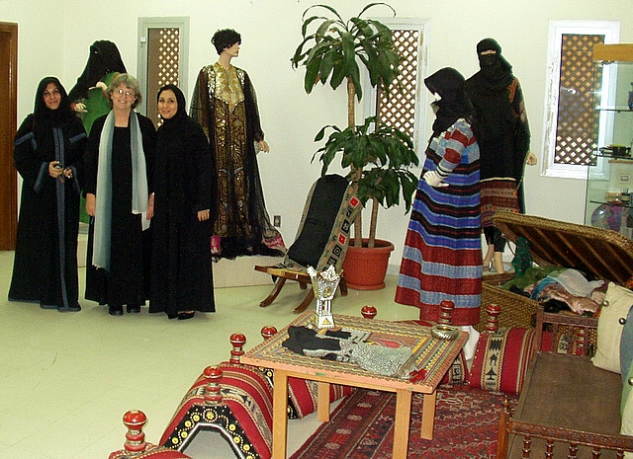 Meeting with Rynas, a chief designer (a job much coveted by Peg) the three ladies stand amid a rich array of Saudi textile arts and crafts. It should be noted this society has several other aspects of good work including: education, a rehabilitation center, school for Down Syndrome children, a social services center, and job training. 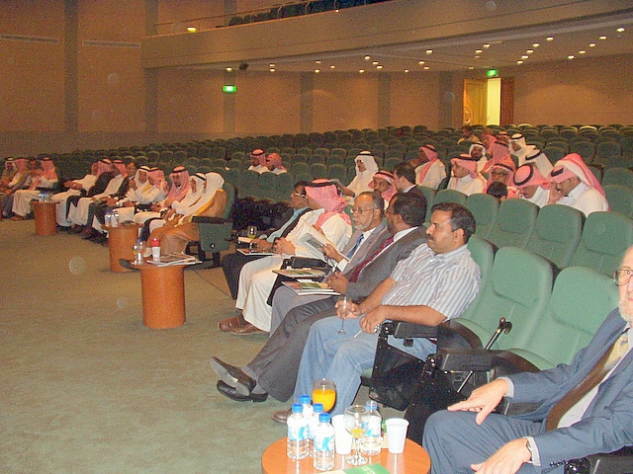 It is quietly and steadily advancing the roles of women in Saudi society. The time has arrived for the main event. 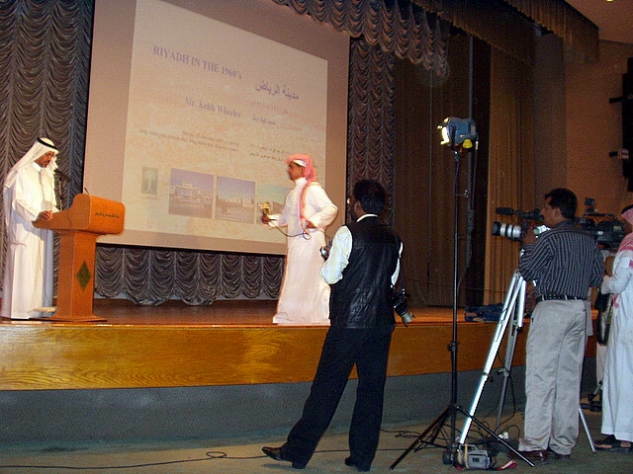 Technicians set the stage and hardware for Keith's Power Point presentation of his previous year in Saudi Arabia. 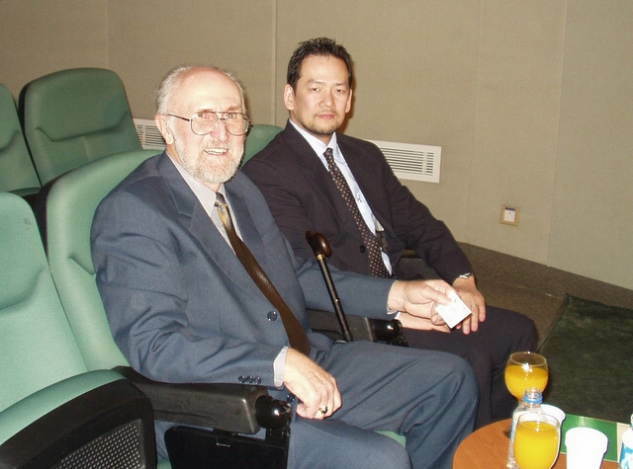 There was to be simultaneous translation into microphones for non English speakers. Peg and Keith take a few minutes to discuss the preparations of the evening. Keith will soon be center stage. A brief meeting with Koji Muto, researcher/advisor from the Japan Embassy, just one of many delightful visits with interesting attendees & dignitaries. 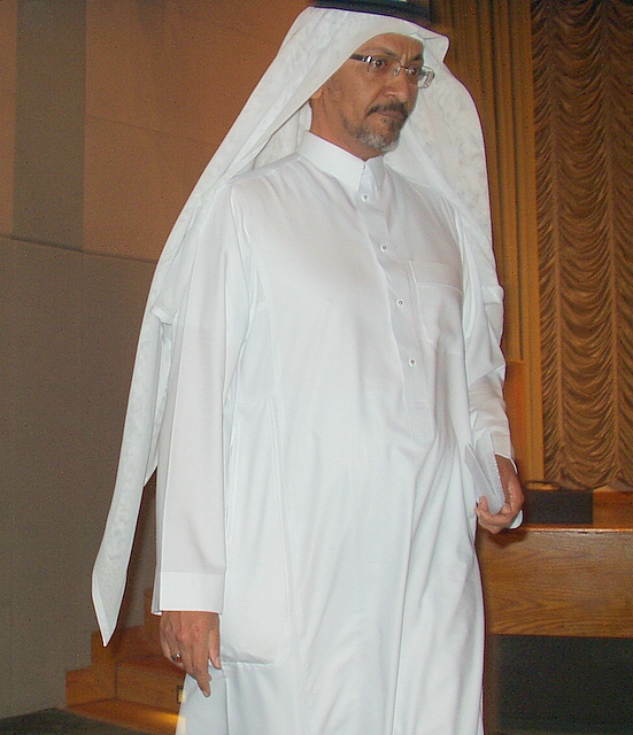 Dr Zahir Othman advances to the stage to provide a very flattering introduction of the evening's guest speaker, Keith Wheeler of California, USA. 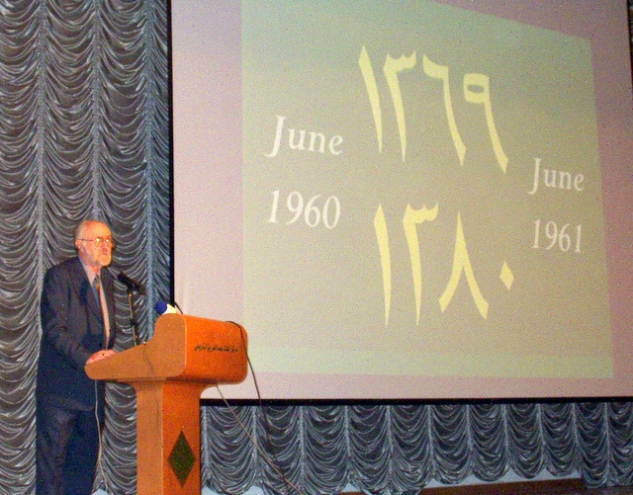 Keith begins his program with a slide depicting the span of his military special mission assignment using both western and Arabic/Islamic numerals/dates. 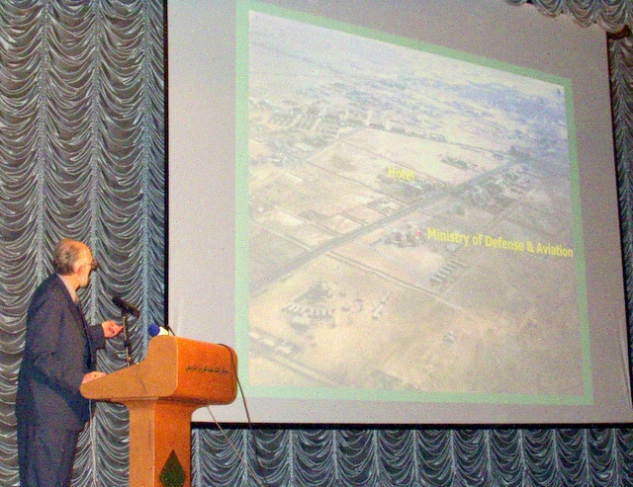 Here he pinpoints a northern section of the city from an aerial view taken from one of the slides he donated to Al Turath and the National Archive. Credit should be given to the translator as Keith's speaking style was particularly difficult -- too many years as a college lecturer & lack of verbatim script. The presentation was well received by a highly engaged audience often pointing to a part of the 1960 city they recognized. 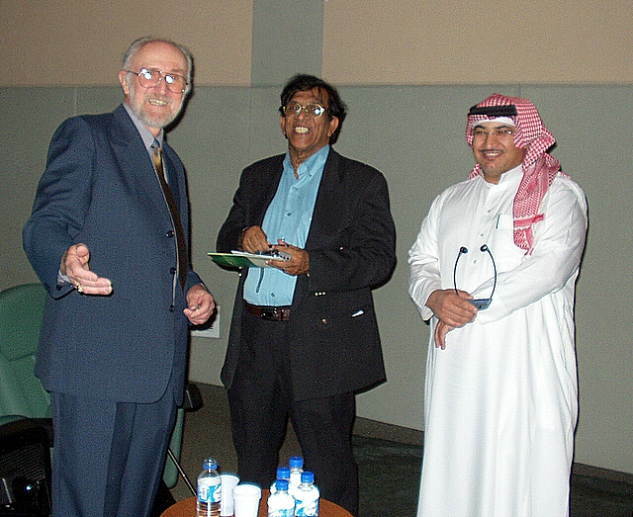 Many people came to chat with him both before and after the presentation. Here are a local journalist and another appreciative listener. 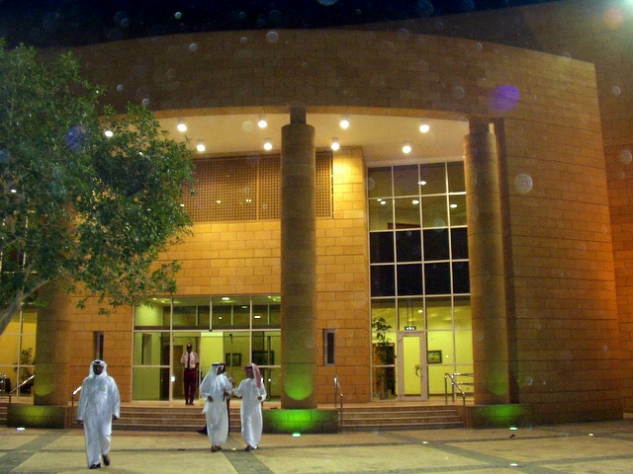 The outside facade of the King Abdulaziz auditorium where the presentation was given - a very special & enjoyable evening!